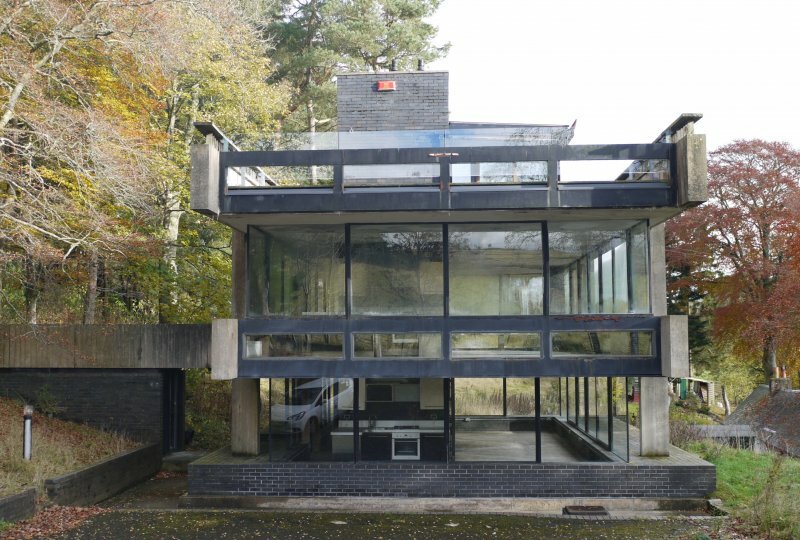 Late Modernist horizontally styled 2-storey rectangular-plan concrete and glazed studio space set on brick plinth with cantilevered overhanging upper floor, entrance bridge to side and central brick service core through to roof. 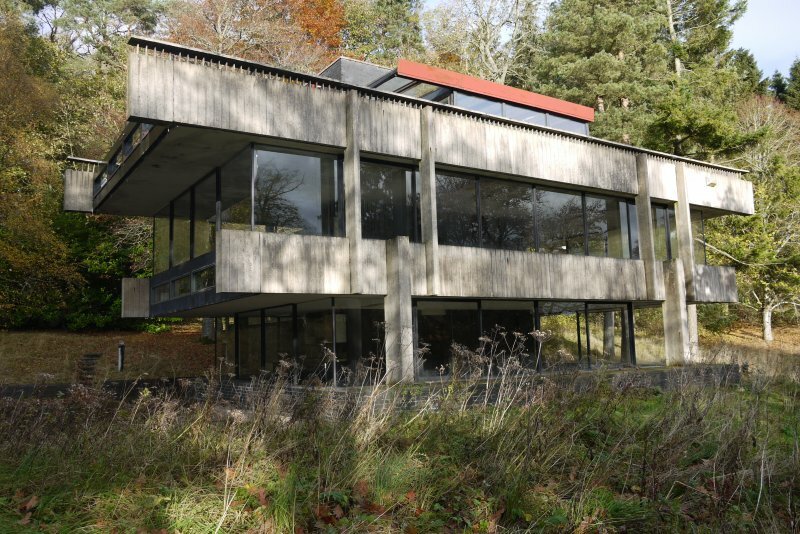 Deep concrete beams to sides supported by 4 main columns; large pane anodised aluminium framed glazing to ends with heavy metal framed balcony railings, mitred frameless glazing to corners. 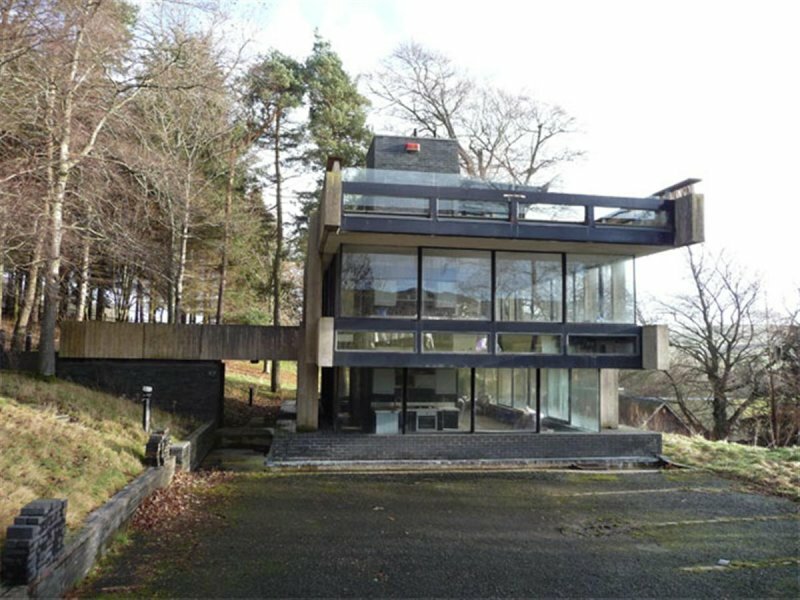 The Studio is a very fine sculptural late Modernist building designed by Peter Womersley (1923-1993) the internationally renowned borders based architect. The contrasting structural elements of bold horizontal cantilevered striated concrete join with finely framed vertical glazing to illustrate a monumental sensibility executed with sophistication and with great attention to detail. 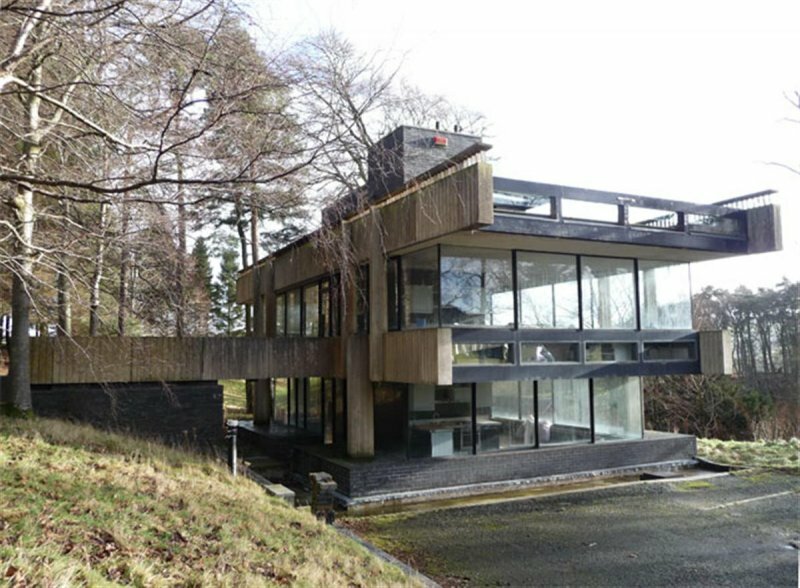 The studio design displays elements of Frank Lloyd Wright's Falling Water, the seminal project which Womersley himself admitted inspired him to take up a career in architecture in his teens. 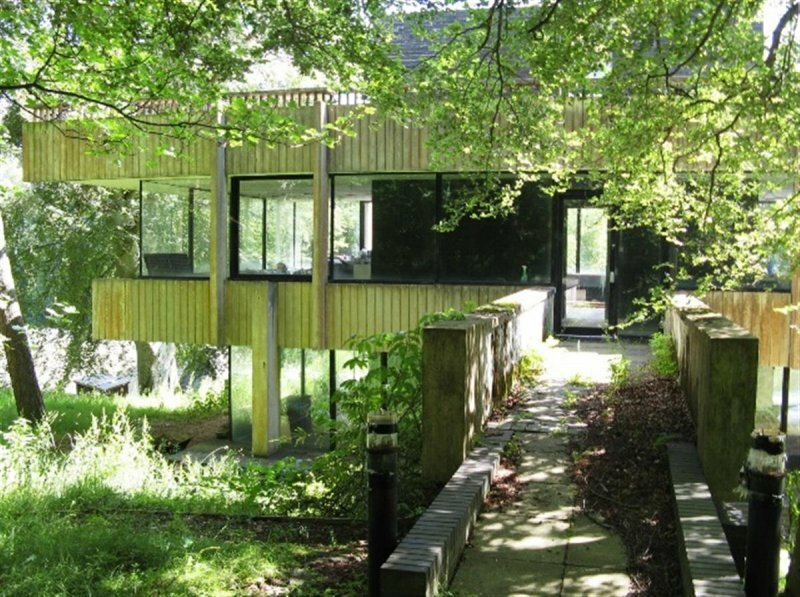 It was commissioned by the textile designer Bernat Klein as a workspace for design, weaving, exhibiting samples and business meetings and lies adjacent to his home, High Sunderland, also built by Womersley in 1958. The horizontality of the main structure is neatly punctuated by the vertical brick service core extending onto the roof space and the bridge at first floor level linked to raised ground to the N anchors the studio to the site. 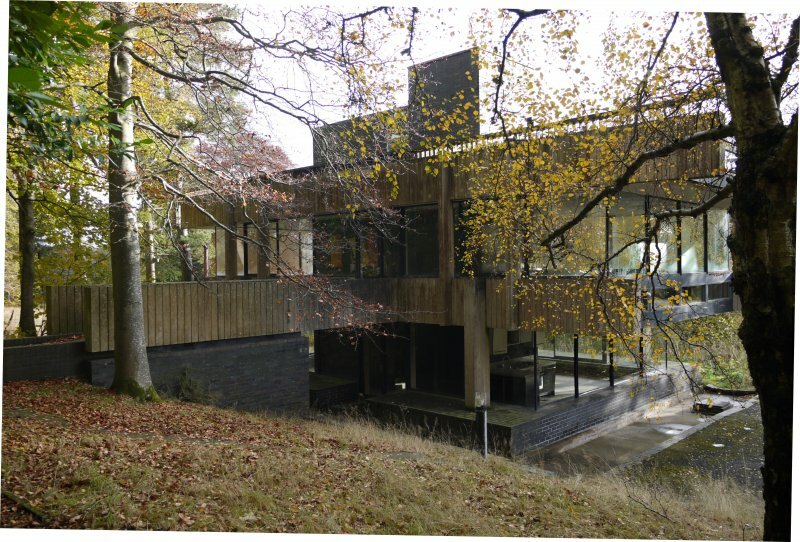 The building was designed to connect harmoniously with its setting on the sloping wooded site; the severe horizontality of the concrete elements succeed in contrasting with the verticals of the trees around it. 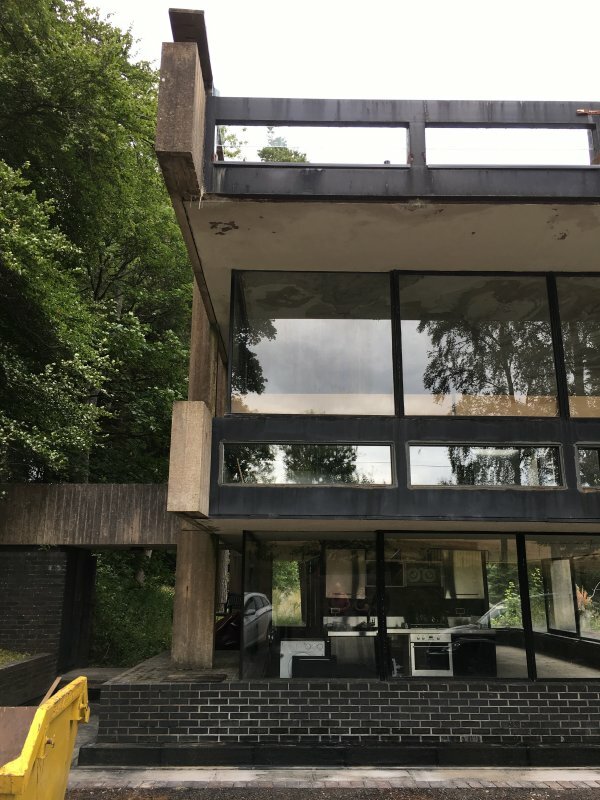 May 2001: A member of the public reports that the building is owned by Scottish Enterprise Borders and was occupied by its textile information service until c.18 months ago. 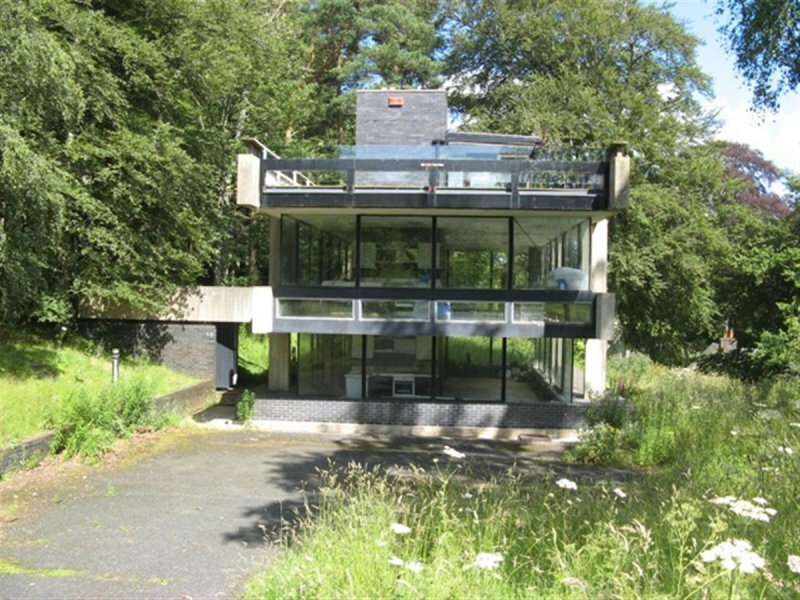 It was previously under offer, but is now being remarketed. The building is now in a poor state of repair, with the upper floor and stairwell having sustained water damage. 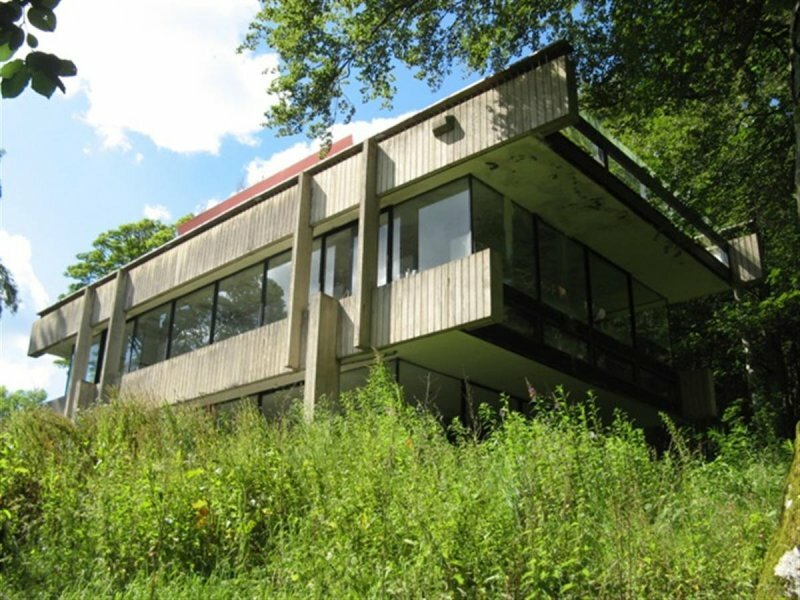 June 2002: Local planners report that the building is leaking and in disrepair. 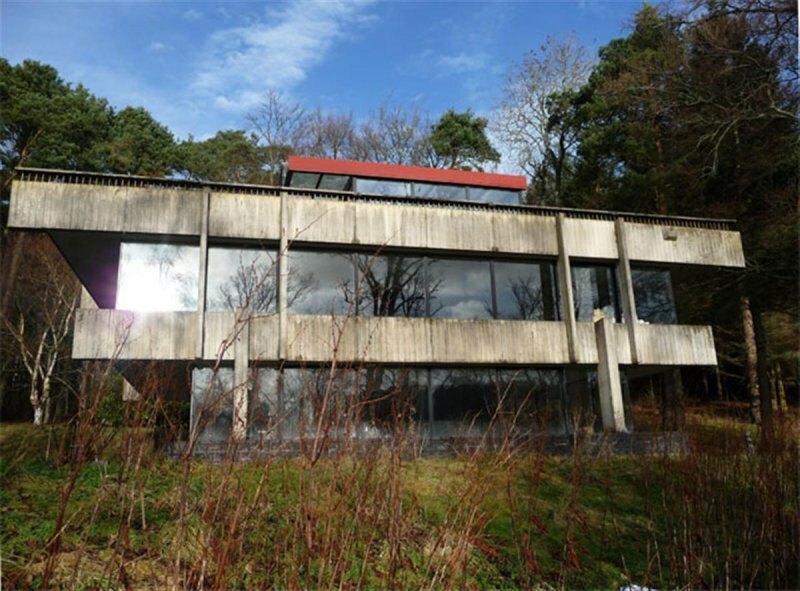 It has recently been purchased and permissions are being sought for conversion into a house and gallery. January 2009: External inspection reveals that the building is vacant, although it is apparent that some building work to the interior has taken place recently. However, the roof is in poor condition and rainwater has penetrated into the building. Listed Building Consent, Planning Permission and Change of Use for conversion to a single residential dwelling were conditionally approved Nov 2002 ref: 02/01311/LBC, 02/01312/FUL & 02/00126/COU. July 2011: External inspection finds no significant change from the previous site visit - water penetration through the roof has caused considerable damage to the building. 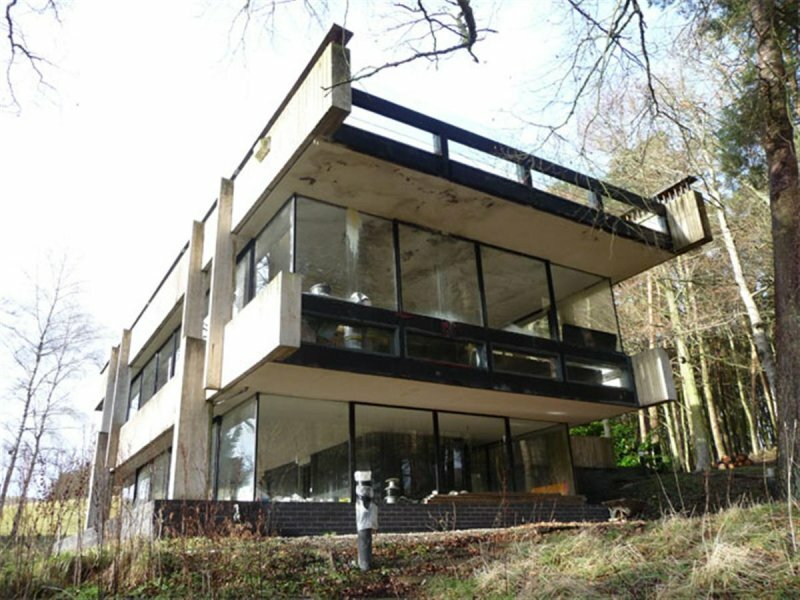 18 October 2012: The Southern Reporter reports the owner of the Studio remains commited to the renovation of the building, having purchased it in 2000 to convert to a single dwelling. The article notes renovations had previously commenced but in 2005 burst pipes had caused £100,000 worth of damage when water had run through the building for 2 weeks following a winter frost. The project is still intended to complete, with works hoped to re-start later this year. 8 January 2013: Local planners report the owner of the building intends to re-commence conversion works in the near future. 2 May 2016: A member of the public notes condensation is gathering on all upper floors. 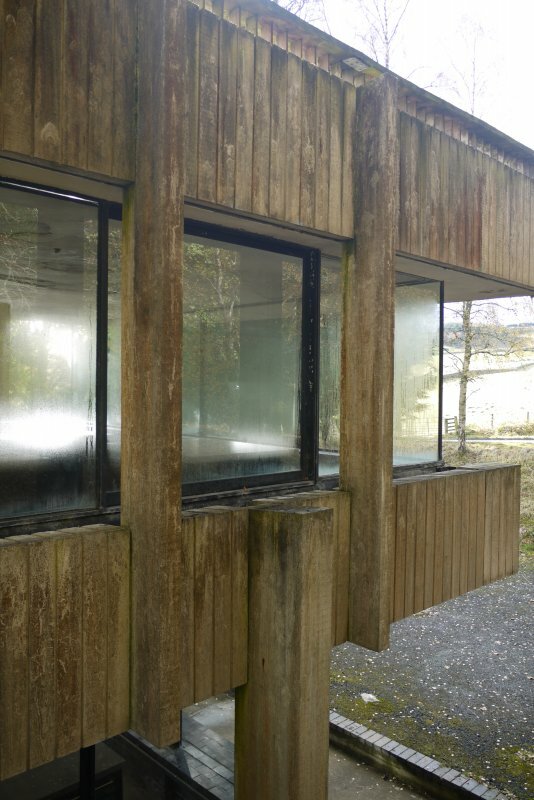 4 November 2016: External inspection finds the building remains in much the same condition as seen previously although some deterioration is evident to timber panels and framing to windows. 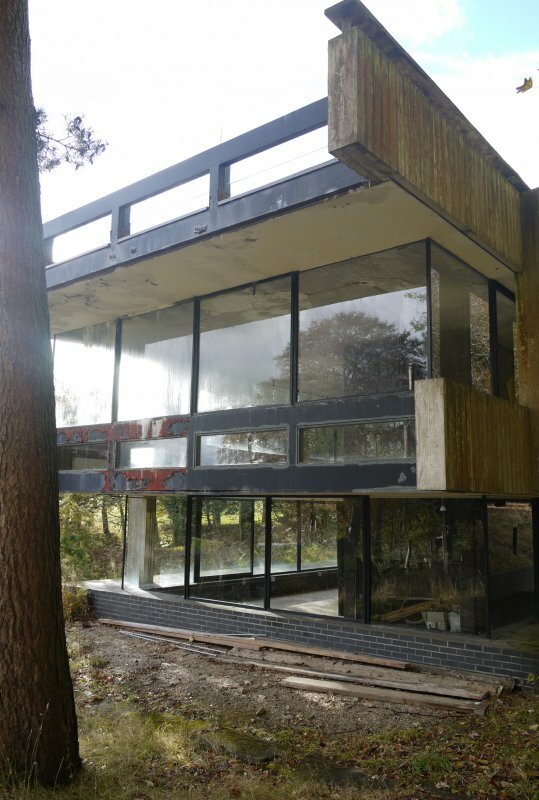 The interior has been tidied and the building was opened as part of Doors Open Days 2016. 1 September 2017: A member of the public advises the main entrance door has been vandalised. 4 May 2018: Local planners report the owner has scheduled work to start from June on the previously approved conversion project, starting with the renewal of the roof covering. 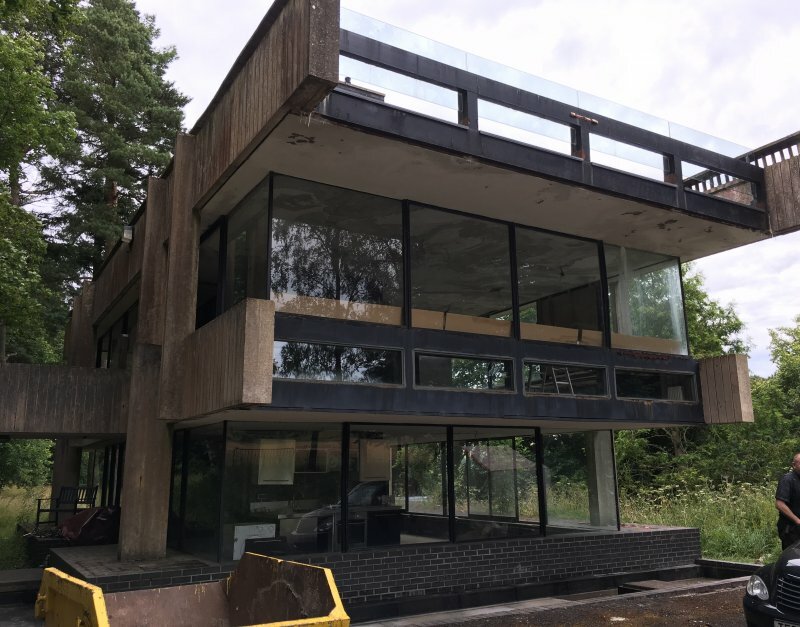 18 July 2018: External inspection finds the former studio in much the same condition as seen previously. Security personnel on site advised renovation works would be commencing soon.